Are you sure you are doing the best to promote your product? Are you taking the maximum advantage of technology that surrounds us? I am pretty sure not everyone is using technology to its full spectrum. Instagram is another social media platform like Facebook and Twitter, except that it only allows you to post images and videos through registered accounts. Since its release in 2010, Instagram has rocked the daily social media feed by keeping its users engaged with artist masterpieces, HD photography of Nature’s scenic beauty and of course, celebrity paparazzi. According to the latest statistics, Instagram gets 800 million monthly users worldwide. As marketing is all about engaging the potential customers, Instagram is a promising platform to have your presence in. In this article, we will discuss how to create a perfect post through marketing perspective for Instagram. How can Instagram posts stimulate the buying process? Well, it depends on the presentation of the image or video of the product/service. To get the best of it, choose a picture good enough in all senses to leave a lasting impact on the viewer. While capturing the picture of a product, the angle should be interesting enough for the viewer to give it a stare at the least. Angles are often least bothered in amateur photography. Now it is fine if you’re taking pictures in a nightclub of snapping selfies with #Bored. But in professional photography, your angle could mean the difference of being sold or left on the magazine rack to stare. Once you have your eye behind the lens, take your time and search for a creative angle. The subject will start revealing itself. It is an unfortunate thing about technology. Where it has given us so much, it has taken the ability to produce a photograph with organic light. We have tools for that right? Tools and smart software have replaced the need for sunlight in photography. But software made to mimic the qualities of natural light can never expose true colors of the image. Light not only makes the image presentable but adds the element of drama in it. It doesn’t matter if the image is colored or in black and white. Good light can bring the sensitivity in the picture needed to arouse the customer into action. A professional photographer need not have to read this. But if you plan to photograph your own product, make sure the lighting is met to its best standards. For good image examples, take a look at GoPro’s Instagram. They post high-quality photos, as well as share fan photos on their page. Unlike Facebook, Instagram has quite the features when it comes to posting pictures or videos. While it might seem like a fun thing for personal accounts, you can use these filter options to your advantage as well. They not only add drama to your products and services but also make them attractive for younger demographics. Trends suggest that funky filters and effects are in demand by younger users. This does not mean you have to spam filters on every picture you post on Instagram. Use them modestly on pictures that only deserve filters. Instagram’s popular filters include Claredon, Gingham, Moon, Slumber, Ludwig and many more. Many prefer #nofilter. Others are just thrilled to see images decorated in cool dark and shifting filters. Photo itself can’t give a complete picture at times it’s beneficial to add a title. Merely the description of a product is not enough. The caption has to be aligned with the product and the audience. Take a loot at Shore Projects Instagram posts. They can tell a captivating story in a few sentences. Although images can speak a thousand words, it only normal to add an attractive piece of text as your title. We almost all are familiar with the hashtags, and well aware of its popularity among us all. Why not use hashtags to expand the viewers of the image? By just adding a popular hashtag it will automatically be in the search results and will be able to engage the mass in no time. The hashtag if used properly can be a beneficial tool. Hashtags need careful selection. They must be in context and not exceed more than 5. The modest amount is 3 in one sitting. Hashtag massacres reflect immature posting and desperation. Hashtags are often used by the youngsters on Instagram. Latest trends on Instagram demographics suggest the highest percentages of users are aged between 16-24, which is 41%. Although some of the brands create their own hashtags. But you can always use the popular ones to get some spot light on your post. 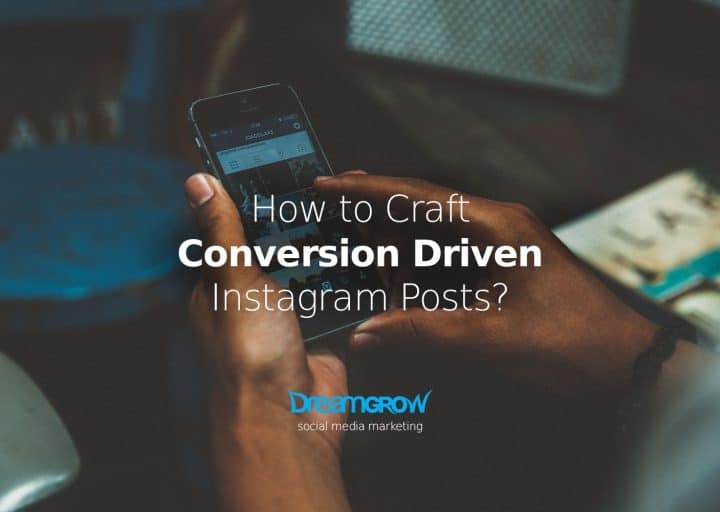 Find out how to use data to improve your results and create data-driven Instagram campaigns. 20% of female internet users are hooked to Instagram compared to the 15% males in the US. And that is why using CTAs or ‘Call To Actions’ on the post can be the conversion sealers for your products. . This will help grasp the attention of potential customers and compel them to convert. You can pocket more customers through this than you can imagine. But these CTAs should be modestly placed within the Instagram posts and done with the latest trend for best effect. Short and triggering so the potential customers can be materialized easily. Instagram is quite popular even among the celebrities and social media influencers. It will have strong impact if we approach the relevant influencer. Top brands are using this technique and they have partnered themselves with the influencers. This way, they are getting the best out of the benefits. Yet, there is also a word of caution. The latest stats suggest that 8% of the Instagram accounts are fake or spam bots. Partnering will not only help expand followers. It will also provide the opportunity to create compelling content to promote the products. It has the ambition to capture moments in almost every instance with a fresh feed every 24 hours. 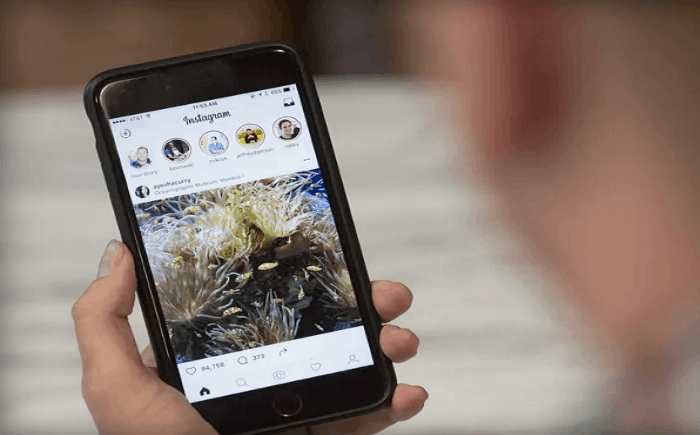 Instagram has taken another bold move to expand its features and add Stories to the grid. Basically, ‘Stories’ is a secondary feed of temporary content that is available to view for 24 hours or a day. Almost as though Snapchat has sold its rights to Instababy, but folks it’s not what it seems. The feature is 100% Instagram patented and allows users to post their videos and pictures. #straightoutta Camera. Instagram has about 300 million users daily posting their content. With this new feature already setting trends, it could change the entire fabric of the application. 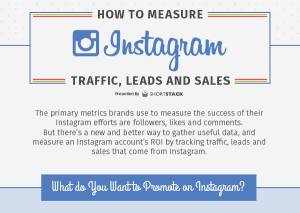 The infographic from ShortStack focuses on measuring Instagram traffic, leads and sales. Brands are starting to use Instagram to promote a variety of content and campaigns. The challenge is that their Instagram profiles have only one live link to work with. It’s the link in the bio. This limitation means most brands need update the URL in their bio periodically. For more active Instagram marketers this means updating the link every day. ShortStack has a tool that helps you manage Instagram better. This infographic provides the solution. Creating an impactful Instagram post is not enough. To get the desired results, one has to make the plan and decide the strategies to achieve the goals. Here the schedule of the post and the quantity will be determined according to the plan. This will help in increasing the number of followers. Furthermore, by studying the follower’s behavior, a planned roadmap can be built. The findings from the data will assist is determining which niche should be targeted. The feedback acquired from the followers suggests application of new marketing strategies. If you get the best out of these tips, you are ready to reap the best out of your Instagram posts. Instagram is a place where you just need to show creative content and use the right skill set. As a result, followers will just keep pouring in. BIO: Asad Ali is a veteran of digital marketing with more than 7 years of experience in the eCommerce industry. His credentials cover expertise from web design to search engine optimization. He currently works for GO-Gulf – a Dubai web design company.